EAs investigate the archaeological excavation at Tel Rumeida. 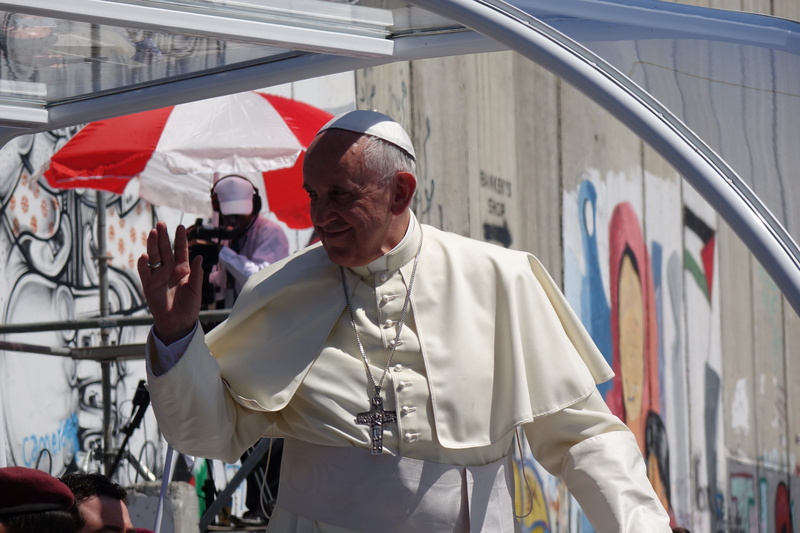 Photo EAPPI/C. Bödker Pedersen. 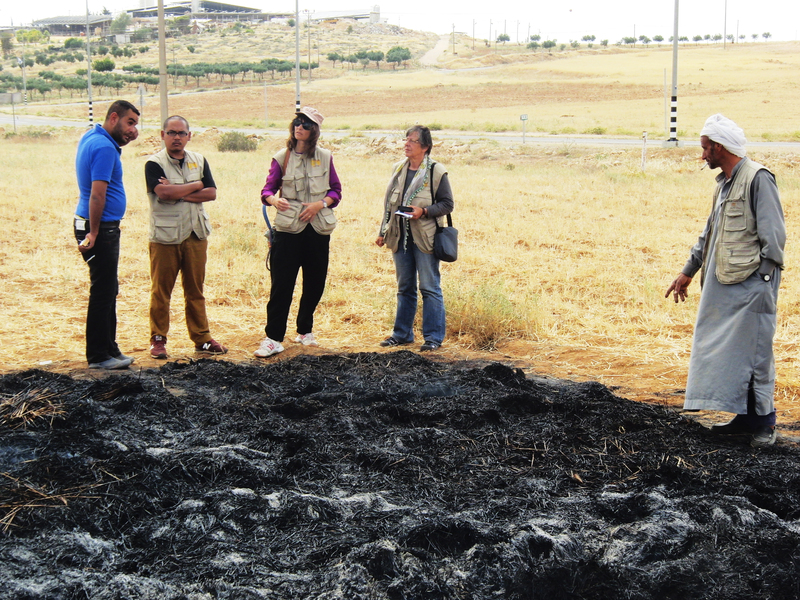 EAs withdraw a couple of meters together with the other international observers in Hebron. There are altogether about six of us, plus the members of the family of course. The young soldier is walking back and forth for a while, juggling the teargas grenade and grinning. One could think that the EAs are caught in the midst of Friday clashes. But no, they are rather observing the enlargement of an archeological excavation. On the left, one can see two strong women, a mother and a daughter, sitting where a big stonewall was standing just a couple of days ago. They won’t budge. “This is our property,” they say. 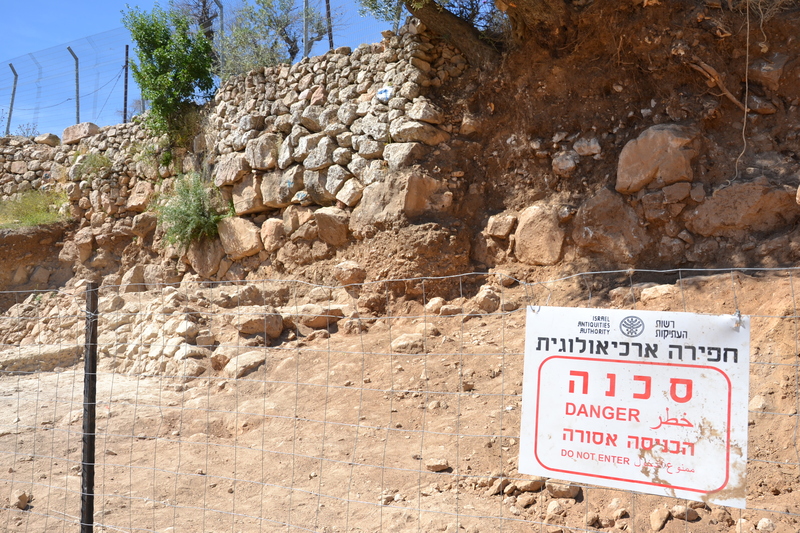 For the second time a part of their wall, which marks the border between their property and the archeological excavation, has collapsed as a result of the digging. The olive tree in question now hangs half in mid-air, almost as in gasping for its last breath. Yet, it prevails. Just as the two women do. One EA approaches Emmanuel Eisenberg, the elderly Israeli archeologist with a colorful shirt and a big hat. He is coordinating the project and is annoyed with the women disturbing his work. 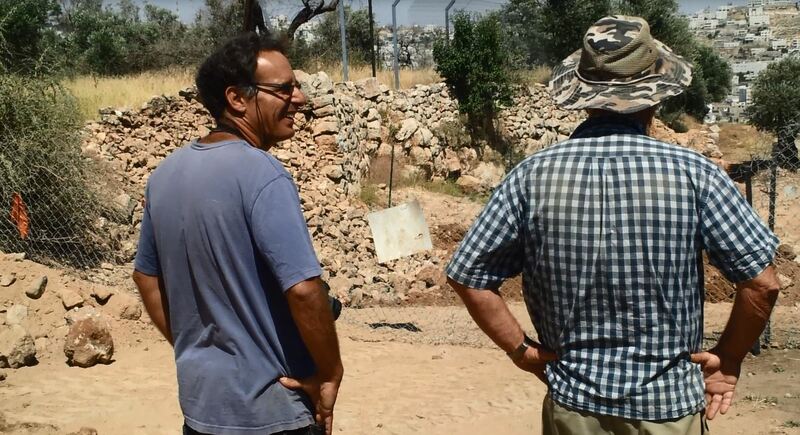 Emmanuel Eisenberg and David Ben Shlomo look at the destroyed wall. Photo EAPPI/W. Bischler. “I didn’t know that the wall would collapse!” he responds quite irritated when told that the owners are worried that even the rest of the wall would come tumbling down. The archeologist goes from annoyed to angry. The Israeli police arrived and and talk with the women. After heated discussions we are told that the archeologists have been prohibited from touching the wall. It would seem that the two strong women have won a small, rare victory over the overwhelming power of the Israel Antiquities Authority (IAA). Sadly, however, the IAA has seldom respected such prohibitions, and the internationals and the women will be ready for work even the next day. The excavations on the historical mount of Tel Rumeida are no new phenomenon. We posted about it in February on the EAPPI blog. The current digs on Tel Rumeida, the hill believed to be the location of biblical Hebron, have secured support from Ariel University and the Israel Antiquities Authority. They were planned to last for a year, and cost around 7 million NIS. The excavation site is blocked of by fences and danger signs. Photo EAPPI/C. Bödker Pedersen. The lead archeologist at the site, Emmanuel Eisenberg is no stranger to the people living on Tel Rumeida. Already in the late 1990s, Eisenberg and the Israel Antiquities Authority were involved in the archeological digs, which famously resulted in the expansion of the Admot Yishai Settlement to house even more settlers right on top of the excavations. As above, even the current excavations form part of a larger vision: a biblical pathway, and the adherent archeological park. The planned archaeological park in Hebron will include areas that have been excavated both the 1960’s by an American archaeologist, P. Hammond, and in the 1980’s by Israeli authorities. The present excavations also include the cleaning of previous excavations sites, and expanding existing pathways amid Palestinian houses. In a couple of years, there could even be cafes and kiosks and a steady stream of architecture aficionados. The biblical pathway will lead from one side of the hill to the other, effectively cutting the Palestinian neighbourhood in half, while simultaneously providing panoramic views of the ancient city of Hebron and the Tomb of the Patriarchs. The Israeli archaeological organization Emek Shaveh, which works on the role of archaeology in the Israeli-Palestinian conflict, has been critical of the motives behind the excavations, as well as the possible findings. According to their experts, none of the findings in land Lot 52 (find a map of area here) so far have been of exceptional archaeological significance, nor have the findings given any support to the plans of a tourist attraction in the area. The poor results of the initial digs may also be one reason why in May 2014 the digs were significantly expanded over onto land lot 53, covering now almost double the amount of land they used to on land lot 52. The Emek Shaveh experts explain that the ancient walls found in the neighbouring lot 53 have much more historical relevancefor the planned archaeological park, since these can at least be dated to the time of the Patriarchs and to the kingdoms of Judea and Israel. Still, the Director General of Ministry of Tourism & Antiquities for the Palestinian Authority in Hebron, Dr. Ahmeed Rjoob shows no hesitation in calling the current excavations illegal. 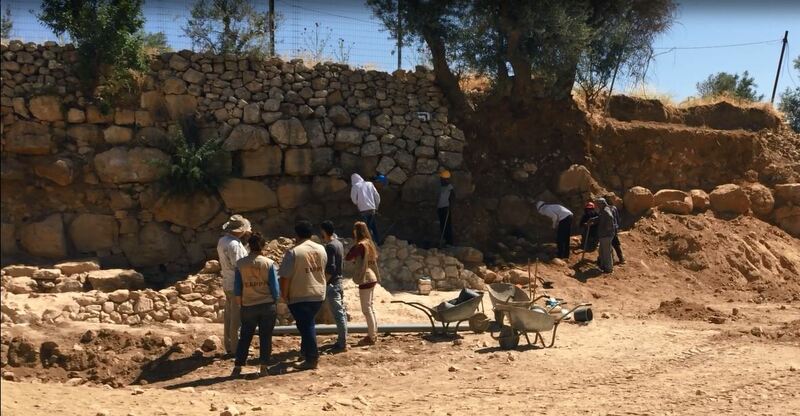 Palestinian Authorities are prohibited from even visiting the excavations, and prevented from evaluating and assisting the archaeological work. Furthermore, the planned archaeological park qualifies as expansion of the existing Tel Rumeida settlement. The Abu Haikal family’s fight for their private property has been rewarded with a couple of small victories, only to be followed by bigger disappointments. 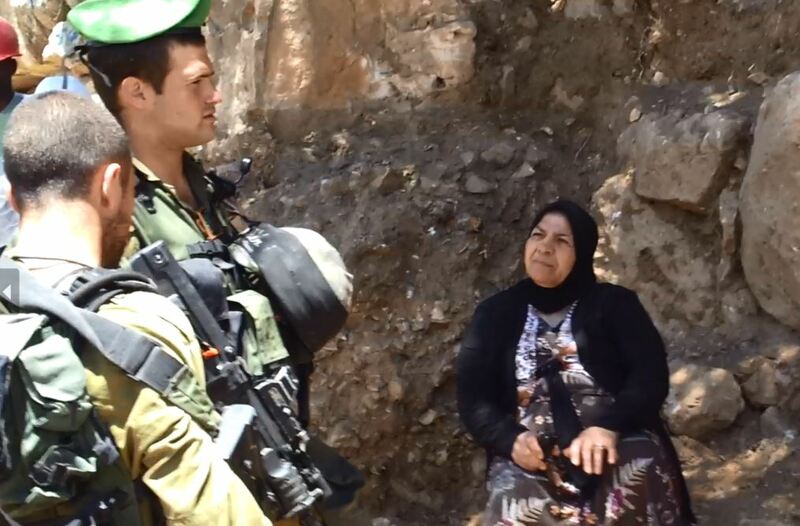 Recently, Fariel Abu Haikal has on several occasions single-handedly stopped the digs by stepping in front of both the proverbial and the real life bulldozer that has been trespassing onto her land. Most often her daughter Arwa joins her, and side-by-side the two strong women have engaged in an iconic stand-off against the perpetrators. Fariel Abu Haikal discusses with Israeli soldiers. Photo EAPPI/W. Bischler. So it goes on. 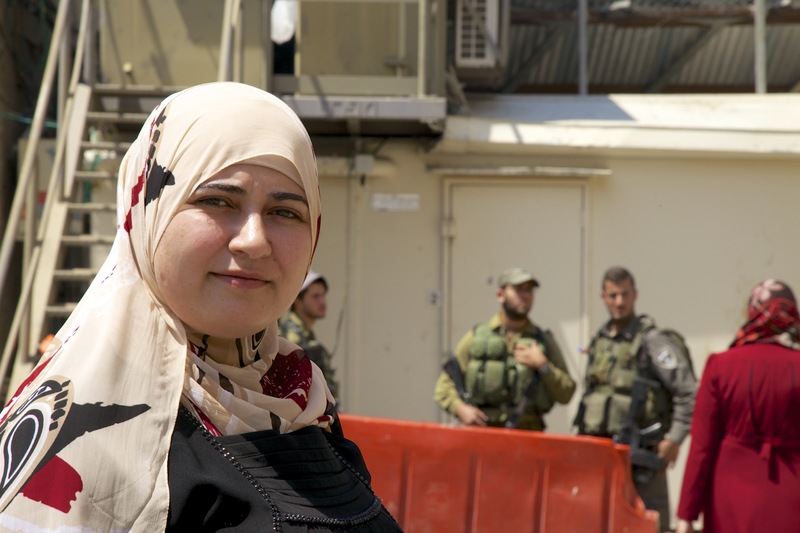 Day after day the two women defend their land, as international observers provide protective presence. And the world is taking note. People from all over the world are following the continuous updates from the excavation site. At the time of writing, the Facebook page called Save Tel Rumeida, which the Abu Haikal family created in January 2014, has more than 600 members and photos and videos are posted on almost a daily basis. An Israeli archaeological excavation on Palestinian land is worrying the residents of Tel Rumeida, a hill in central Hebron and one of the oldest continuously inhabited areas in the world. With funding from the Israeli Ministry of Culture and Sport and a potential plan for an archaeological park, the project seems to be expanding illegal Israeli settlements and settler tourism in Hebron. Ferial Abu Haikel overlooking the land her family has tended for decades. Photo EAPPI. 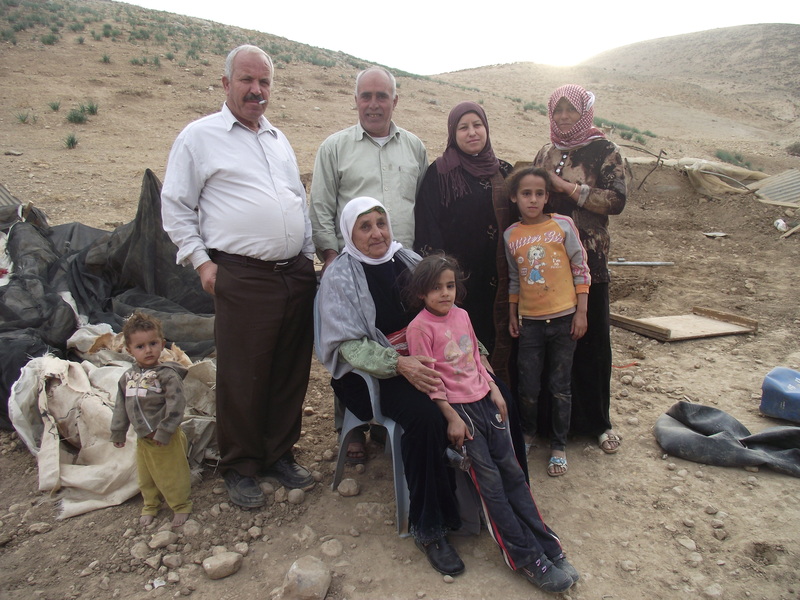 When caterpillars entered the land next to their house in the early hours of January 5th of 2014, the Abu Haikal family watched with disbelief as they witnessed the uprooting of almond trees that the family had tended and harvested for decades. It was only after two hours that they learned the reason for this abrupt end to the life of their trees. 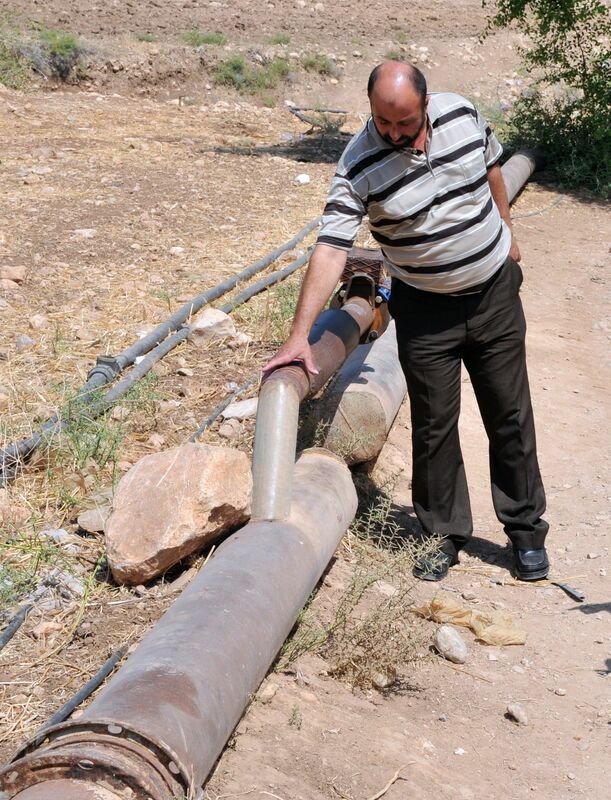 Israeli authorities presented an order to clear the land for archaeological excavations. When we meet Farial Abu Haikel in early February, a month after the start of the excavation, she is in a good mood. The workers did not show up that day and a glimpse of hope is on her face. Maybe the initial permit to conduct excavations was not renewed, maybe the paper work was not in order, maybe they will stop the work altogether. However, just the following week, the excavations were expanded to another patch of land that has also been worked by the Abu Haikel family and work in the initial plot was resumed. The family has hired a lawyer and is taking the land issue to court, but the legal situation is complex to say the least. Originally being Islamic Waqf property, the land was rented to a Jewish association during the British Mandate of Palestine. A Jewish Palestinian family, who the Abu Haikal family sheltered and protected during the massacre against the Jewish minority in Hebron in 1929, had taken care of the land. Following the establishment of Israel in 1948 the land was placed under the care of the Jordanian government, and eventually fell under the Israeli Absentee Property Law with the Israeli occupation of the West Bank in 1967. 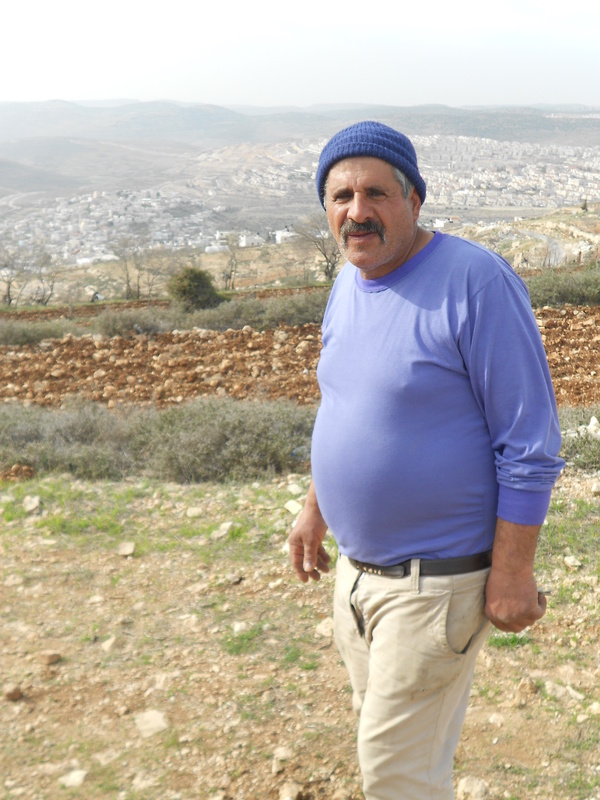 Throughout all of this, the Abu Haikel’s rented the land from the Jewish association, granting them the status of protected tenants. Off-limits. Israeli border police stand at the entry of the archaeological site and deny access to any wanting to enter the land. Photo EAPPI. 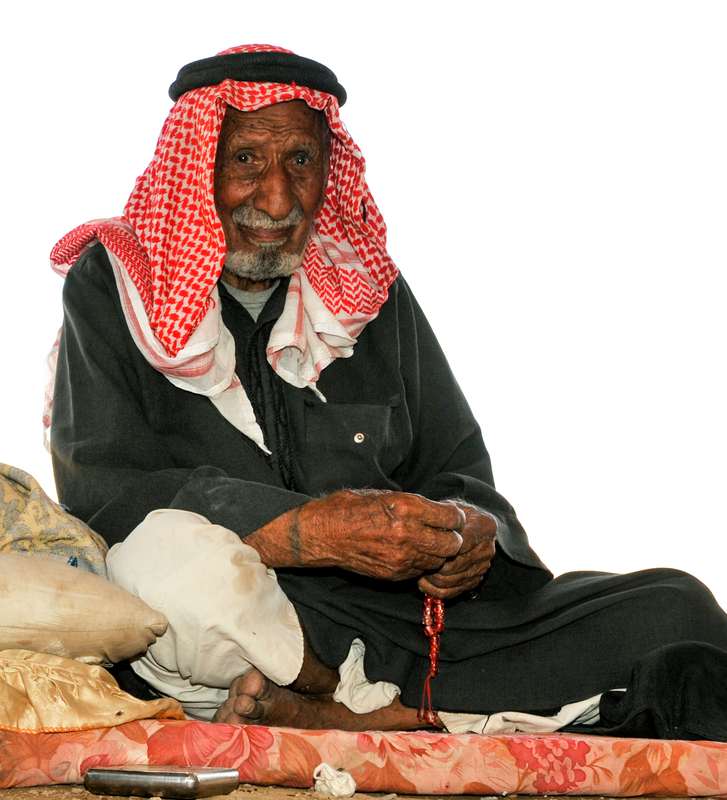 Where almond trees once stood, gaping holes now cover the Abu Haikel family’s land. Photo EAPPI. The hill of Tel Rumeida, on which the Abu Haikel’s house and the excavations are located, sits just above the old city of Hebron. It is home to many Palestinian families and an Israeli settlement, which houses a few very radical Jewish families, according to the Israeli counterterrorism specialist and expert in far-right Jewish groups Ehud Sprinzak. The Palestinian residents of Tel Rumeida are all too well aware of what archeological excavations can lead to. After the first settlement was created here, with caravans parked on a small military base, the land next to it was fenced in to conduct archeological excavations. Today, on this very spot, a multi story apartment building rises, constituting the biggest part of the Tel Rumeida settlement. The Palestinian residents living in the vicinity of settlements, experience heavy restrictions in their movements, livelihoods and personal lives. Tel Rumeida is off limits to Palestinian vehicles, with only settler cars being allowed to speed by. 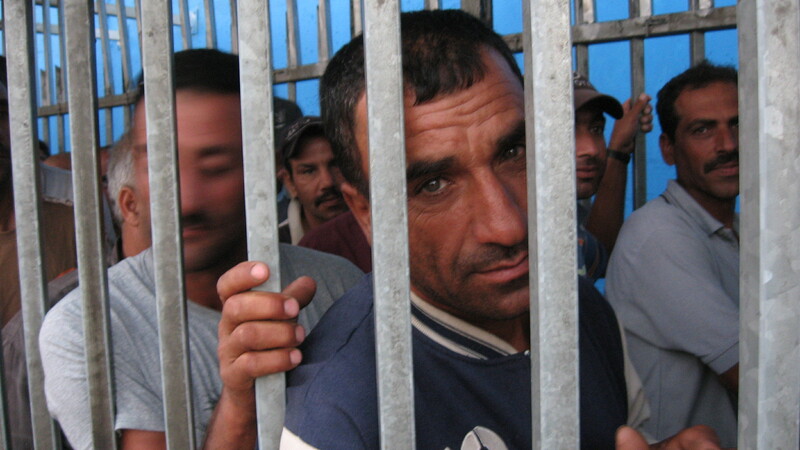 Palestinians face harassment and violence by their involuntary neighbors on a regular basis. The construction of yet another settlement on the hill is being anticipated with fear by those whose daily life will be affected by it. We visit Ferial again. 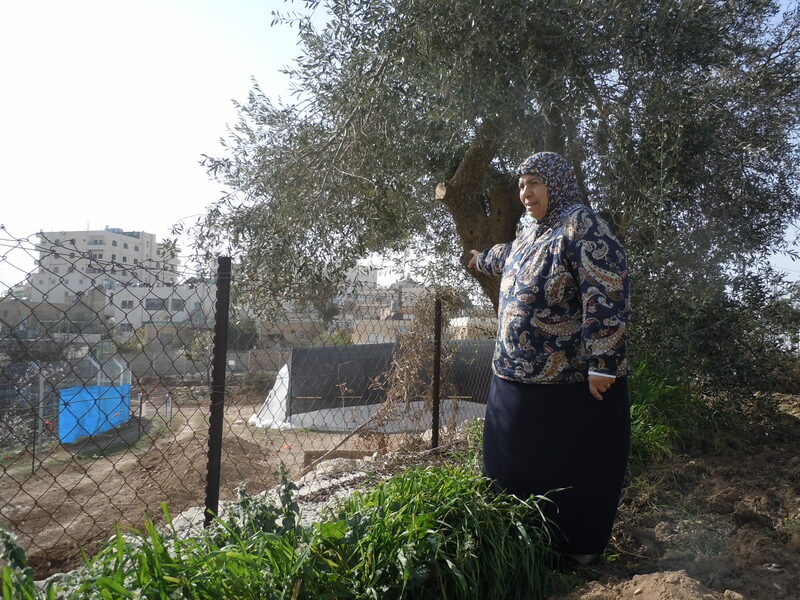 She shows us the land tended by the family and explains how the family over the years have suffered several attacks by the settlers from the Tel Rumeida settlement. She points to the trees in the part of her garden that the family still has access to, overlooking the archeological excavation. Now the plots of land tended by the family have been fenced in, the trees have given way to gaping holes, and armed border police will tell anyone coming too close to the fences that the land is now off-limits. 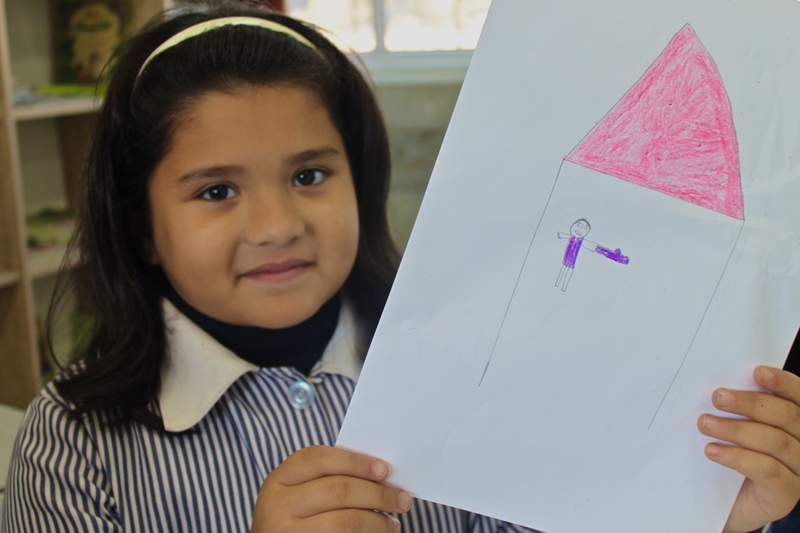 Read more on this story on Ha’aretz.